Zev Eisenberg and Gadi ‘Baby Prince’ Mizrahi, who produce music as Wolf + Lamb, make their Strictly Rhythm debut this September with ‘After We’re Gone’ - the first time they’ve ever released a Wolf + Lamb production on any imprint outside of their own Crew Love label. 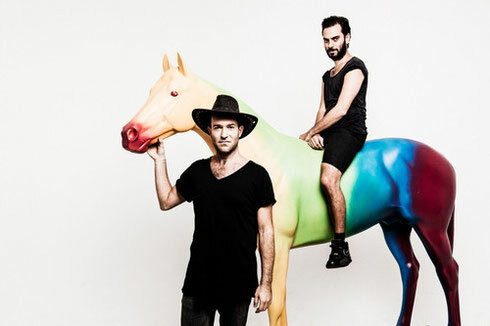 Describing themselves as “house music maestros and hip-hop horticulturalists; desert communitarians and urban nomads; entrepreneurs and autonomous anarchic creators”, Gadi and Zev have, over the last few years, made a name for themselves as possibly two of the most innovative and unique producers and DJs around, creating and playing passionate music that moves hearts, not just feet. The duo have crafted a distinct niche for themselves while nurturing a collective of artists with similarly singular approaches, notably Soul Clap, No Regular Play, Deniz Kurtel, Slow Hands and Voices of Black. Representing a laid back dance sound in electronic music, the collective embodies the melding of influences from contemporary music, vintage and beyond. ‘After We’re Gone’ is their debut release on New York’s house imprint Strictly Rhythm. Sultry and sleazy with a commanding vocal and a single, evolving synth line that slowly takes over, the track is a marriage of classic and contemporary beats. It’s out 7 September, check it out below.